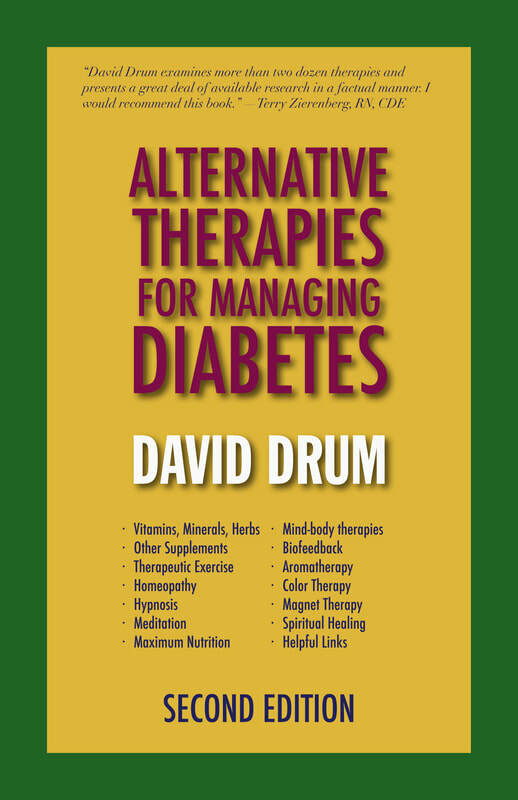 LOS ANGELES--The second print edition David Drum’s Alternative Therapies for Managing Diabetes is being released by Burning Books Press of Los Angeles. Drum’s 293-page book will be priced at $14.95. The 6 x 9 paperback is aimed at people with diabetes who are curious about alternative therapies and want to learn a bit more about them, he says. The book’s author, David Drum, is the co-author of The Type 2 Diabetes Sourcebook, with Terry Zierenberg, RN, CDE, also published by McGraw-Hill, as well as several other books in the health and wellness area. Alternative Therapies for Managing Diabetes was originally published by McGraw-Hill. When the rights reverted to the author, Burning Books Press released two updated e-book editions. The second print edition, in the works for some time, has been revised and updated making it as up to date as anything on the market. Diabetes educator Zierenberg called Alternative Therapies for Managing Diabetes “a comprehensive and useful look at alternative therapies for men and woman with Type 1 or Type 2 diabetes.” Zierenberg added, “ I would recommend this book to anyone who is interested in "going a little farther" along the road to self-managing diabetes." The book is a survey of alternative or complementary therapies which may be of interest to people with diabetes. It incorporates a good bit of research on individual therapies and includes a comprehensive resources section, an index, and an extensive bibliography of sources. Included are chapters on vitamins, supplements, herbal medicines, low-calorie diets, mind/body therapies, acupuncture, magnet therapy, homeopathy, aromatherapy, hypnosis, meditation, spiritual healing and more than a dozen other therapies of possible interest. The author offers suggestions on how to evaluate and use alternative therapies, and includes precautions to consider before their use. Stories of men and women with Type 1 and Type 2 diabetes who have utilized alternative therapies are incorporated into the book. Burning Books Press of Los Angeles was founded in 1984 by independent writer David Drum. The press originally produced artist’s books and art works but expanded in 2008 to include reprints e-books, and original works by David Drum. The new print edition and e-book editions of Alternative Therapies for Managing Diabetes will be available through amazon.com. The e-book edition is also available through the Apple store, Barnes and Noble.com, and other e-book vendors.